Will not fit any Vehicles with Xenon Headlights fitted as standard. Angel Eyes. All Performance Headlights are covered by a 12 Month Warranty. Black with Yellow Halos. We are happy to help you with this process. Angel Eyes. All Performance Headlights are covered by a 12 Month Warranty. Will not fit any Vehicles with Xenon Headlights fitted as standard. Black with White Halos. We are happy to help you with this process. Angel Eyes with LED DRL Strip. All Performance Headlights are covered by a 12 Month Warranty. Will not fit any Vehicles with Xenon Headlights fitted as standard. Black with White Halos. Complete with Bulbs. Angel Eyes. Will not fit any Vehicles with Xenon Headlights fitted as standard. All Performance Headlights are covered by a 12 Month Warranty. Black with White Halos. We are happy to help you with this process. Angel Eyes. All Performance Headlights are covered by a 12 Month Warranty. Will not fit any Vehicles with Xenon Headlights fitted as standard. Black with White Halos. Complete with Bulbs. We are happy to help you with this process. 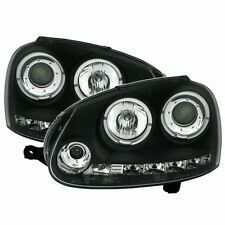 Black LED Halo Ring Projector Headlights with running light strip to fit: VW GOLF 5 (03-) (RHD ONLY). Black interior with clear, unpatterned lens. These headlights have a single standard high beam lens, a projector dipped beam lens and an integrated indicator in each unit. DRL (DRL Strip Functions Using Sidelight). Black with White DRL Strip. All Performance Headlights are covered by a 12 Month Warranty. Will not fit any Vehicles with Xenon Headlights fitted as standard. Angel Eyes (Switchable between Left & Right Hand Drive). Will not fit any Vehicles with Xenon Headlights fitted as standard. All Performance Headlights are covered by a 12 Month Warranty. Black with Yellow Halos. Angel Eyes (Switchable between Left & Right Hand Drive). All Performance Headlights are covered by a 12 Month Warranty. Will not fit any Vehicles with Xenon Headlights fitted as standard. Black with Yellow Halos. See further and react faster with up to 150% more brightness When driving at night you need the very best visibility. You'll recognise obstacles in your way earlier than with other, less powerful halogen bulbs. They last far longer than standard bulbs. Blue lights which enhance and improve the vehicle's vision as it reflects back with light blueness around the car. 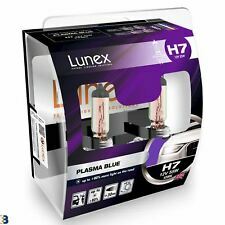 H7 PLASMA BLUE 4200K. more visible distance, higher contrast, better visibility and reduces eye strain compared to standard halogen bulbs. It gives you the ultimate visibility without compromising safety by dazzling the car in front. DRL (DRL Strip Functions Using Sidelight). Black with White DRL Strip. Will not fit any Vehicles with Xenon Headlights fitted as standard. All Performance Headlights are covered by a 12 Month Warranty. 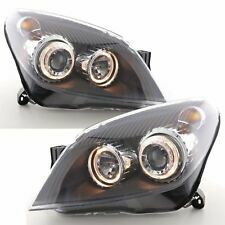 VW T6 Headlights DRL Black Best Quality & Design 2015 - 2018. 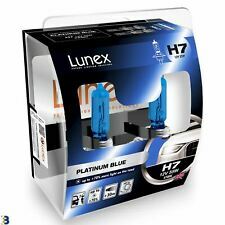 H7 Osram cool blue intense. Superb quality & design. Canbus error free. FREE BULB UPGRADE. Black with White DRL Strip. All Performance Headlights are covered by a 12 Month Warranty. 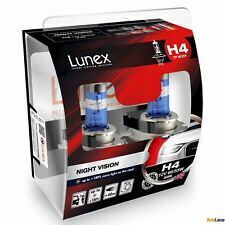 Will not fit any Vehicles with Xenon Headlights fitted as standard. Add to Favourites. We are happy to help you with this process. Youtube flower blinker Video link White DRL style adopting high grade LED. A beautiful yellow light bar style is also faithfully reproduced with the turning light of a flowing longing. The sporty image of golf is finished even more. 2X Led sidelight bulbs. 2X Led drl bulbs. Will fit all T5.1 from 2010 - 2015 with standard factoty headlights. (not twin reflectors). 6000K Super white. Superb quality & design. Driving in the dark is demanding, so you rely on your headlights to keep you safe. Worldwide Service 12 Months Warranty. 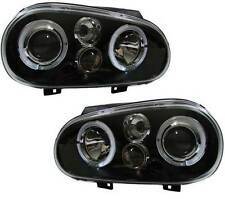 BMW 3 SERIES F30 AND F31 BLACK DRL HEADLIGHTS. Angel Eyes. All Performance Headlights are covered by a 12 Month Warranty. Will not fit any Vehicles with Xenon Headlights fitted as standard. Will Pass an MOT. Leveling Motor Excluding Motor. Black with White Halos. They last far longer than standard bulbs. more visible distance, higher contrast, better visibility and reduces eye strain compared to standard halogen bulbs. More light at lower power consumption compared to standard halogen bulbs. 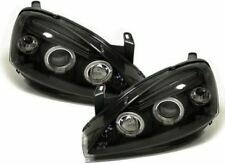 Pair of depo angel eye headlights angel eyes E90 / E91 4dr models. Top quality Depo headlights, comparible to BMW OE quality. Ice white LED angel eyes with flat bottom rings. Height levelling motor is to be transfered from your original headlights to these new headlights. 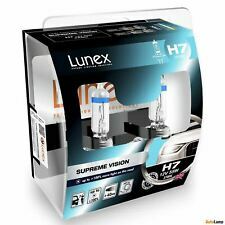 4 x SUPERWHITE HELOGEN H7 headlight Bulbs 12v. 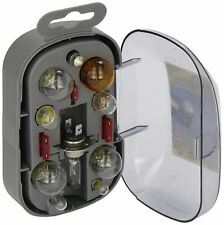 12Volt, H7 100Watt. These Xenon look HALOGEN bulbs will provide greater visibility and ensure safer driving conditions. Colour Temperature: 8000K. These bulbs will provide a brilliant white light. 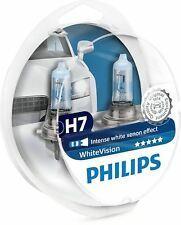 Philips Racingvision 150 H4 Headlight Bulb 12342RVS2 Twin Pack.